You may already be familiar with UDI U818A, one of the most popular and easy to find toy quadcopters in the market. Aimed at beginners looking to buy an affordable and easy to learn drone with which they can practice. Today we review the upgraded version of this famous toy quadcopter, we introduce you UDI U818A-1, one of the most affordable camera (seriously, it’s really cheap) toy quadcopter for learning and practicing. U8181-A is mainly aimed at beginners which give priority to the image quality of the camera, that’s why this new upgraded version features a High Definition camera which we will discuss further on. If you came to find a top notch, yet simple, quadcopter to learn how to control a drone while recording amazing quality aerial footage and still saving a few bucks. This is the review for you! A complete drone package with all you need to fly right of the box, no assembly required. So let’s get started with the review! Let’s start by discussing one of the strongest aspects in UDI U818A-1, its camera. Following the success of U818A, this new upgraded version includes a High Definition camera, while previously it was a standard SD camera. Many low-budget toy drones advertise their cameras as HD but in fact, they are not, well I’m happy to tell you U818A-1 INDEED comes with a real HD 2MP camera! Capable of recording at a resolution of 1280 x 720; at 30 frames per second, U818A-1 HD camera might just be one of the best cameras equipped in a drone within this price range. You won’t currently find a cheaper drone with a better camera included. If you prioritize image quality, then U818A-1 will be your best camera drone for this price! 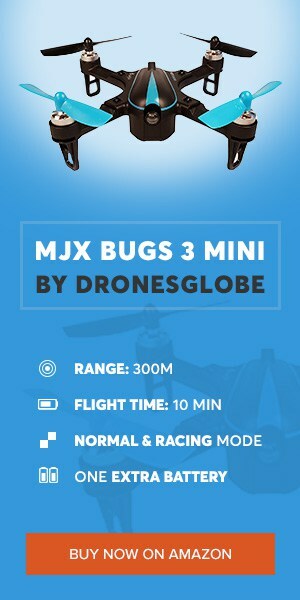 As expected of a drone with such an affordable price its control range and flight time are not the highest. The 2.4GHz controller remote enables a control distance of up to 30 meters, considering it is aimed at beginners and children it’s enough for you to get the hang of it and fly it in the park or in your garden. UDI U818A-1 is powered by a 3.7V 500mAh lipo battery capable of providing up to 6 minutes of flight time, once again enough for beginners and children to have fun with it. Don’t forget that if you purchase extra batteries you can always fly it for longer than 6 minutes, just make sure you give time for the motors to cool off when changing batteries and resuming flight. UDI U818A-1 is rated as a grade toy drone. Therefore, it’s built from a common type of material for drones within this price range. ABS Plastic will resist most common crashes and hits, although a toy, don’t expect this drone to break or bend that easily. The protective frame is not removable, and we wouldn’t advise you to remove it anyway, as it protects motors and propellers. UDI U818A-1 packs the necessary features for you to get the most fun out of this affordable quadcopter. There’s a button on your remote controller that makes the drone perform a 360º aerial stunt just by pressing it. It will amaze the crowds at the park, a very cool and fun trick. Another feature is a low-battery alarm, very useful for you to avoid hard crashes. During the last minute of battery life, U818A-1 will start beeping to warn pilot about the low-battery. Consequently, you should land it and change batteries or recharge it. THE GOOD One of the most affordable toy grade quadcopters for beginners and children. Packed with a very good quality 2MP HD camera, it is one of the cheapest drones to include such a good quality camera. Very easy to fly and control, U818A-1 upgraded version is an amazing fit for first-time pilots. The low-battery alarm will help you avoid hard crashes, and 360º aerial stunt will stun the crowds. THE BAD Control range and flight time are a bit below average, but don’t forget that this drone is aimed at ease of use and good quality camera which you won’t find that easily in the market. BOTTOM LINE Overall, if you are looking for your first drone or a lovely gift to offer someone than UDI U818A-1 surely ranks among the best. A good drone for learning and practicing while recording above average aerial image quality. Very affordable, this might just be the drone you have been looking for! What is your opinion on UDI U818A-1? Does the price match its quality? Have you been looking for a complete drone package to learn and practice as well record awesome aerial footage? You found it! Leave a comment on the section below telling us what you think and don’t forget to bookmark our page for more reviews such as this! Have a great fellow drone lovers!